I am currently writing a research study on Jewish ultra-Orthodox marriages. In order to gather information on the subject I sent out an open-ended survey to many members in the community. This first phase of the research study just came to a close and as I began to sift through all the data, the frequency at which the word communication appeared caught my attention. Almost every participant mentioned the word communication with either a negative or positive connotation. In general, the two most common examples were: “we have a good communication therefore I am satisfied in my marriage”, and: “we have a poor communication and therefore…”. 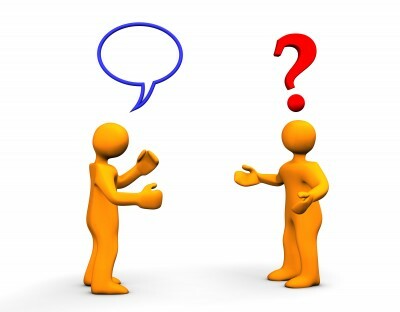 While I intend on continuing to explore communication in regards to marriage and relationships, I feel that it is pertinent to begin writing about effective communication, and I would like to address the following question: we talk to our friends all the time and it is not so difficult, what is it about communication in intimate relationships that can so easily go awry? An unshared relationship vision usually manifests itself in thoughts like these: “He should know not to say that”, “She should know this upsets me”, “He should not speak this way”, and “She should say things differently.” Of course, this list of expectations is not exhaustive, but just a few out of many examples. It is important to realize the difference between expectations and preferences. We can have preferences in a relationship but if we have expectations (specifically ones that we never express) we are bound to be disappointed. Every individual has different needs yet we are inclined to assume that others’ needs are the same as ours and so we expect that it should be obvious to our partners what our needs are. Wrong! Unless you specify them explicitly, your partner won’t know what your needs are. Word of advice: when discussing your needs it is important to start your sentences with: I prefer, I would like, I would appreciate, and ditch phrases such as: you should, you have to, I expect. The former phrases are requests while the later are demands. As much as we hope our partners will make an effort towards to make us happy and heal our wounds, they have their own emotional goals to meet. Demanding that your partner only look out for you is unfair and irrational. It is a losing battle at the start. Disclaimer: you won’t always feel like being so sensitive in your requests, and that is fine, as long as many of your concerns are conveyed with a. the complaint b. the experience and c. the way this causes you to perceive your partner. When we are stuck in a power struggle we are stuck in our own truth. We refuse to come out of our world and see the other. The premise of the argument is about each person restating his or her truth over and over, and the winner is the one who said it loudest and made the other bow out of the fight. I like to compare this to arguing with a child’s fantasies. When a child shares that he or she will be a princess some day, it would be quite useless to let them know that their wishes are not feasible. However, we understand that this is something they sincerely believe in. I will tread lightly here; it is not that your partners’ concerns are in any way equal to the fantasies of a child. Rather, we should learn to see and believe our partner’s truth just like we understand when children believe in fantasies. It is not about the reality, it is about the experience your partner is having. The event matters a whole lot less than the way it makes your partner feel. Often, we get stuck in the details. Rehashing a story and making sure to reiterate and punctuate all the facts. When in fact, it is not the incident that matters but the way your partner experiences the incident. Step aside from the facts of the story and tell your partner how you felt. For example: “It is not that you forgot to share this piece of information with me, it is about making me feel forgotten.” Conveying to your partner your feelings is more important than the facts of the story. Practice – and by all means, make mistakes! The reason why many clients fail in therapy is because they refuse to practice. They have the irrational assumption that all problems get fixed in the therapy room. The more you practice these skills, the better you get at them, the more effective your communication will be, and of course you are more likely to have your needs met. Mistakes – Make them, over and over. Relationships are not neat, clean, or tied with a bow.